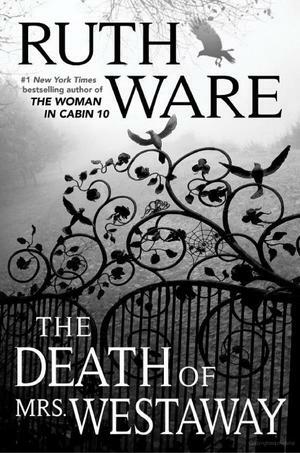 INSTANT NEW YORK TIMES BESTSELLER From the #1 New York Times bestselling author of In a Dark, Dark Wood, The Woman in Cabin 10, and The Lying Game comes Ruth Ware’s fourth novel, “her best yet” (Library Journal, starred review). On a day that begins like any other, Hal receives a mysterious letter bequeathing her a substantial inheritance. She realizes very quickly that the letter was sent to the wrong person—but also that the cold-reading skills she’s honed as a tarot card reader might help her claim the money. Soon, Hal finds herself at the funeral of the deceased…where it dawns on her that there is something very, very wrong about this strange situation and the inheritance at the center of it. Full of spellbinding menace and told in Ruth Ware’s signature suspenseful style, this is an unputdownable thriller from the Agatha Christie of our time.